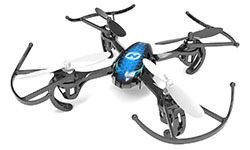 Quadcopter Reviews and How to fly a Quadcopter. 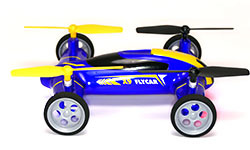 To read all about how to fly a rc quadcopter please scroll to the bottom of the page. Each quacopter I choose to review is flown by me and put to through several test. I check things like how well the gyro system handles when flown, how well it performs at max speed, and the realistic battery life. If you have ANY questions I’m always happy to help! 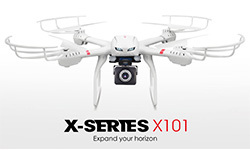 Just leave a comment here on the site or on the YouTube video of the quadcopter. 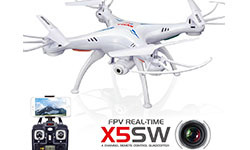 From beginner quadcopters to more advanced quadcopters with cameras, I will give you a helpful review that includes tips on flying. 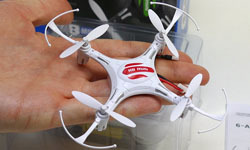 I try my best to find the best prices and most reputable retailers that will ship your quadcopter within days not months. If you have questions or recommendations please feel free to leave a comment or contact me. 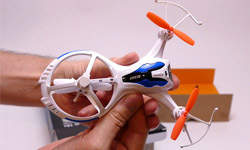 The perfect quadcopter to learn to fly on if you ever plan on moving up to more expensive models. 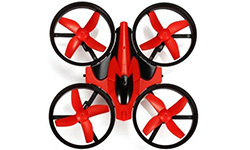 This mini ducted fan drone is easy to fly and very durable! 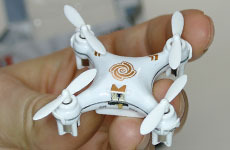 This quadcopter turns better then any other mini drone I’ve flown. Only $40 for the HD camera version. 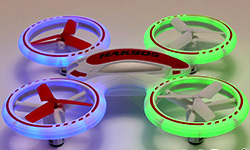 Quality design, replaceable batteries, great performance, and lots of upgrades usually only see on more expensive quads. 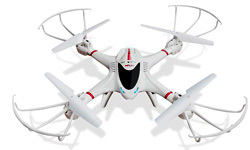 Very durable beginners rc quadcopter with cool ducted fans. It’s slow and easy to fly. It’s like a flying bumper car. Most all quadcopters will have tiny trim tabs under each of the control sticks. Before you start to trim out your quadcopter make sure to wait for a calm day with little to no wind, it will make your first flight more enjoyable. If you’re flying a micro quadcopter inside for the first time then make sure no fans or AC is on. Take off about 5 feet above the ground and hover in one spot. Assuming there’s no breeze, take note which direction the quadcopter is drifting. 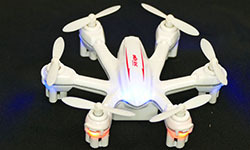 To make this easier, have the front of your quadcopter pointed in the same direction you’re standing. If your quadcopter is drifting left, then keep adding right trim until is stops drifting and remains hovering in one spot. One of the top ways people lose their quadcopters is by losing it on a windy day. One very important thing to remember is that the wind gets much stronger the higher up you fly and it often is blowing in a different direction than what it’s blowing on the ground. It happens all too often. The quadcopter takes off and the pilot loses orientation of the front of the quadcopter and off it goes!